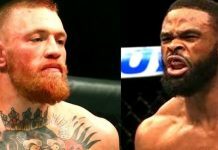 UFC 214 has added another title fight! 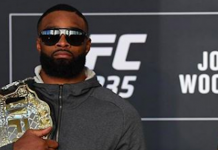 UFC welterweight champion Tyron Woodley recently took to Twitter where he announced that he will be defending his title on July 29 in Anaheim against top contender Demian Maia. 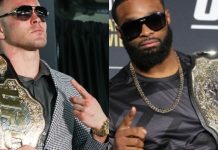 Tyron Woodley was most recently seen in action at March’s UFC 209 event in Las Vegas, where he scored a majority decision victory over Stephen “Wonderboy” Thompson. 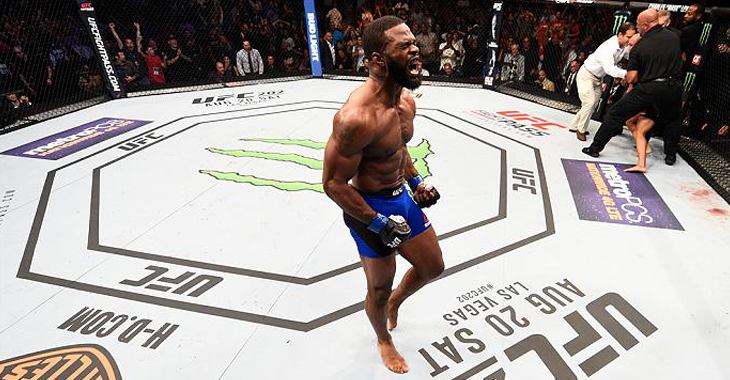 “The Chosen One” has gone 4-0-1 over his last five fights, scoring knockout victories over Dong Hyun Kim and Robbie Lawler in that time. Meanwhile, Demian Maia is coming off a split-decision win over Jorge Masvidal which occurred at May’s UFC 211 event in Dallas, Texas. The victory served as Maia’s seventh in a row and solidified the Brazilian Jiu Jitsu specialist as the welterweight divisions top contender. This will mark the second time that Maia has fought for a UFC title. 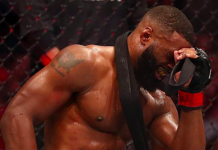 The 39-year-old previously fought for the UFC’s middleweight crown way back at UFC 112 in April of 2010, but came up short against Anderson Silva. 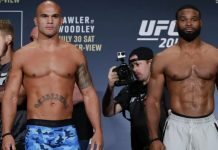 UFC 214 is headlined by a light heavyweight title fight rematch featuring current champ Daniel Cormier taking on former title holder and bitter rival Jon Jones. Also featured on the card is a women’s title fight between Cris Cyborg and Tony Evinger which will crown the promotions new featherweight champion. 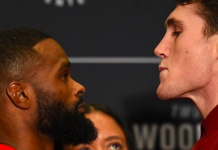 Who do you think will emerge victorious when Woodley and Maia square off on July 29? Sound off PENN Nation!